For those of you who may be interested we will be showing the 2012 World Cup and London Olympic Games on large screen TV's in our sun kissed courtyard. 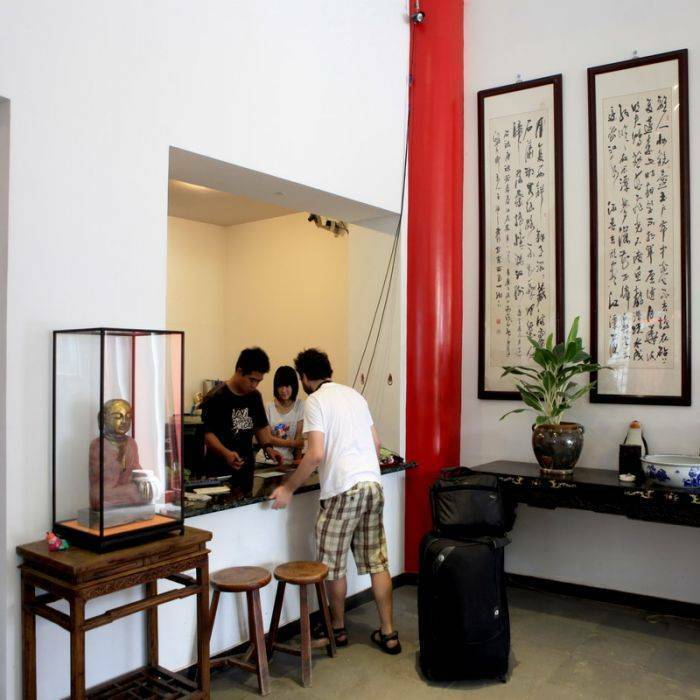 Located just a 15 minute walk from the Dongzhimen transport hub (the terminal from the Airport Express/Subway Line 2, exit D/Rail Train 13 and centre for many public busses) also a 5 minute walk from line 5 Beixinqiao station (exit C) our hostel 'The MING COURTYARD' is set in a traditional Beijing Hutong, bursting with Chinese style, it is found just off a Hutong street in the middle of GUIJIE (ghost street), this street is famous throughout Beijing for having delicious food at great value for money, the area is known for its colorful and attractive ambiance, especially at night. 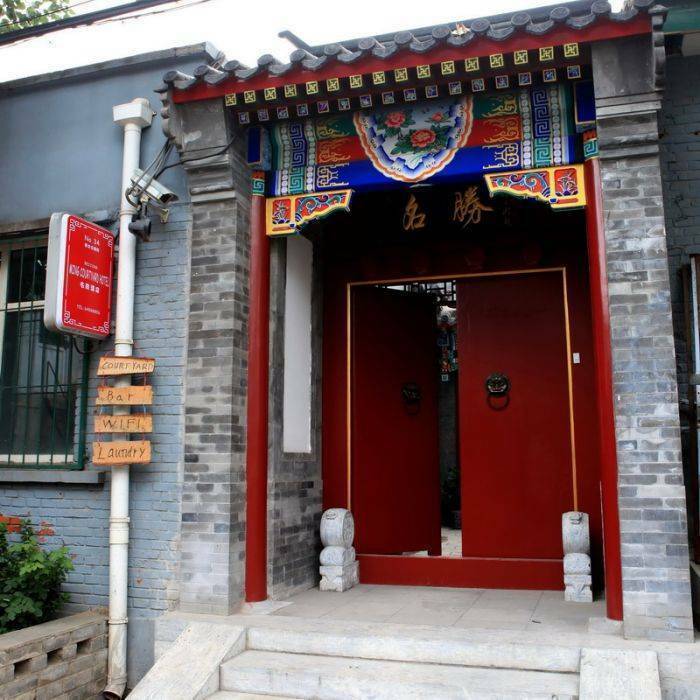 MING COURTYARD hostel is hidden in the classic Beijing Hutong (narrow lanes). Many of the rooms are set around our spacious courtyard. Both private and mixed dorms are available. Within the courtyard hostel you will enjoy the homely feel of friendly staff and comfortable surroundings along with our Bar/Restaurant and wi fi throughout. 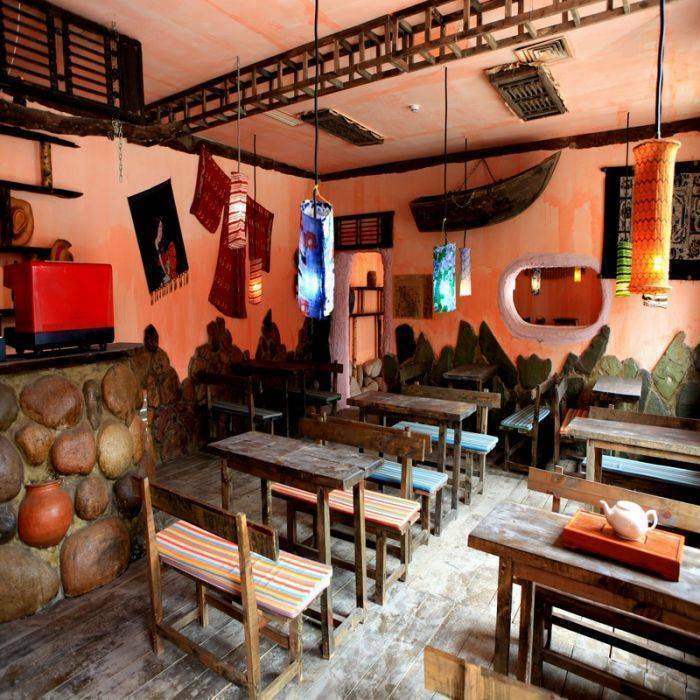 Why not Skype home whilst sipping on a Kumquat Mojito and soaking up the sun on a lounger, or step outside to experience how the locals live, stroll through some of the thousands of meandering Hutong alleyways observing life as it has been for generations. 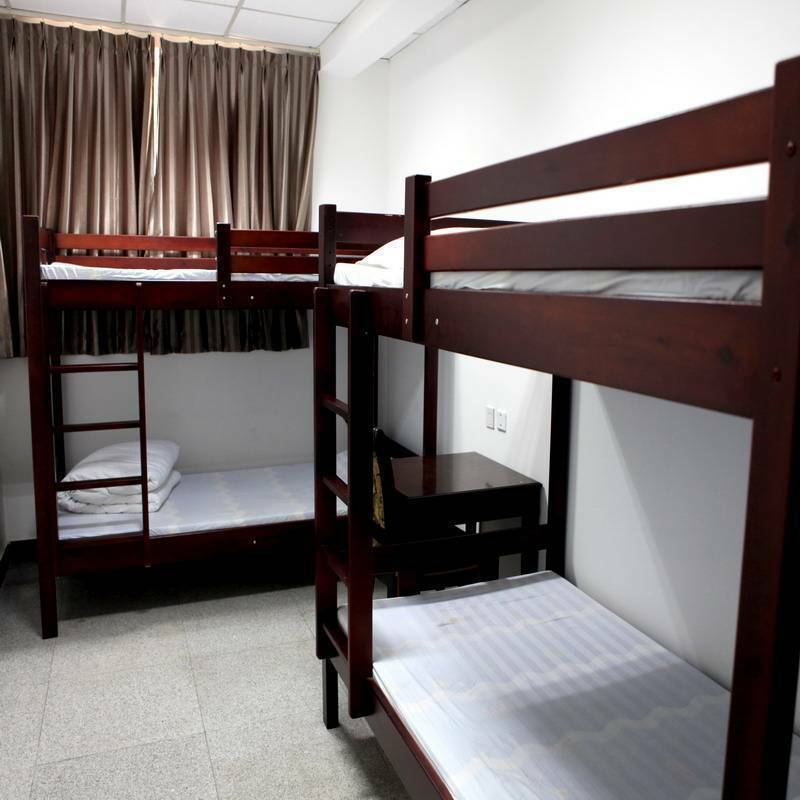 9 Mixed Dorm with 4 beds: linen/safe box/air condition/reading light are available. 13 Standard Rooms: with pirvate bath room, TV/reading table/coat rack/bath towel/tooth brush/bath shower/shampoo. 8 Double Bed Private Rooms with Garden View:with private bath room, we provide towel/shampoo/bath gel/tooth brush and paste in the bath room. The reading table/cabinet and all furniture in these room are chinese calssical style. 4 Bungalow Double Bed Private Rooms: with private bath room, innner room for sleeping and out room for friends gathering . We procide reading table/cabinet/couch, all furniture are chinese calssical style. 1 Family Room with 3 beds:with pirvate bath room, TV/reading table/coat rack/bath towel/tooth brush/bath shower/shampoo. *Tian'an Men Square: take line5 at the Dongdan Station, then transfer line 1 and take off at the Tian'an men Station, cost 2 CNY. *The Forbidden City (Palace Museum): take line5 at the Dongdan Station, then transfer line 1 and take off at the Tian'an men Station, cost 2 CNY. *The Summer Palace: take line 5 first , tansfer line 2 at the Yonghegong station (Lama Temple Station), then at the Xizhimen station change line 4 to the end station Beigongmen, whcih is the northern gate of the Summer Palace. *The Beijing Zoo: take line 5 first , tansfer line 2 at the Yonghegong station (Lama Temple Station), then at the Xizhimen station change line 4 to the Beijing Zoo station, exit A. 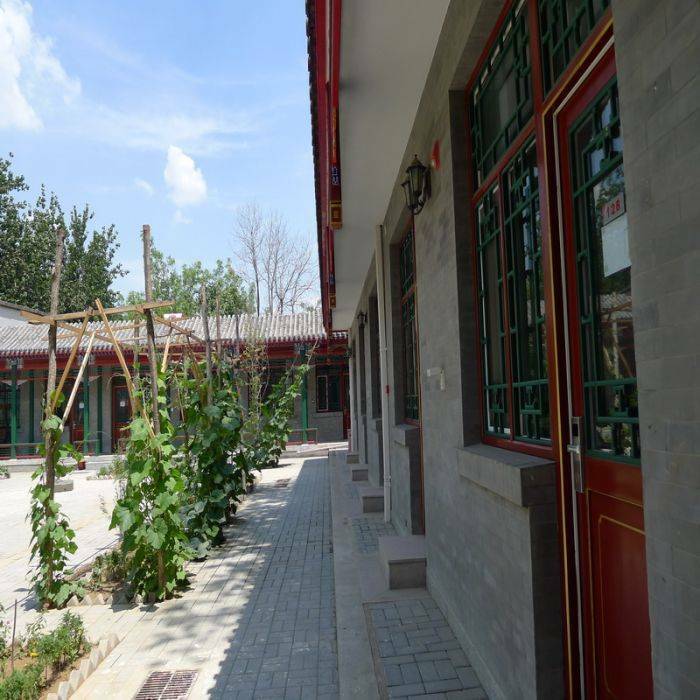 *The Silk Street: take line 5 to the station Dongdan, then transfer line 1 to the Yonganli station, exit A.
Lama Temple (3 km), 10 minutes by walk. Temple of Earth (4 km), 15 minutes by walk. Confusiun Temple (4 km), 10 minutes by walk. Flavour Restaurant Street (nickname Night Food Bazaar, 100 meters). Bell and Drum Tower (5 km), 10 minutes by publice bus, take 1 yuan. Embassy Area (5 km), 15 minutes by publice bus, take 1 yuean. Art Gallary (6 km), 20 minutes by publice bus and 10 minutes by taxi. So Many, Detailed Informations Can Be Got At The Our Reception. You can try so many famous cuisines from all over the China. Located in the centeral part of Beijing, mixed with modern commerce and historical old Beijing flavour, at the Dongcheng District, next to the Dongzhimen Beijing Public Transport Junction. close to the Embassy Areas, and sit among the traditional narrow lane. Our hostel is very convinence for people from not only airport, railway stations, but also long coach station. *Take Airport Express to the terminal station Dongzhimen (about 20 minutes, cost 25CNY, less than 4USD), then by taxi (10CNY)or tri-cycle (10CNY) just several minutes, or by walk (10 minutes). *Take the Airport Shuttle Bus and stop at the Dongzhimen(about 40 minutes, cost 16CNY), then by taxi (10CNY) just several minutes, or by walk (10 minutes). *Take off at the Dongdan Station of the Line 1, then transfer Line 5 at the Beixiqiao Station, exit C. About 5 minutes by walk, you will find our property. *Take of at the Yonghegong Station (Lama Temple Station), then transfer to Line 5 stop at the Beixiqiao Station, exit C.
*You can also take off at the Dongzhimen Station, exit B, then by bus No117 or No635, both 2 stops cost 1Cny at the Nanxiaojienei stop; or 15 minutes by walk. *Get off at the Xizhimen Station of Line 4, then transfer Line 2 at Yonghegong Station (Lama Temple), from there take the Lin 5 and stop at the Beixiqiao Station, exit C.
*Take off at the Beixinqiao Station, leave at the exit C, then 5 minutes by walking towards to the east. Take off at the Huixinxijie Station, change Line 5, stop at Beixinqiao Station, exit C.